Paul can carry out the following mobile car detailing services which he will come out to any location within 100 miles of the Miracle Detail studio in Chichester, West Sussex. Whilst mobile car detail service allows Paul to visit your premises, whether it is at your place or work or your home, the finish will be to a high professional standard. Whilst we can not dictate the weather, or local environmental conditions, the finish to the detailing is exemplary. For a more detailed service, why not consider visiting our studio in Chichester, West Sussex for a more in-depth detailing where we can control the local environment to provide a far superior finish. We use the PD range of car detail products. Please call Paul to enquire about travel costs for any mobile car detailing services. Paul covers further afield including Europe and the rest of the world. Paul has been known to travel as far as Hong Kong and the Middle East. For mobile car detailing enquiries please call 07788 441150 or fill in our mobile car detail form. 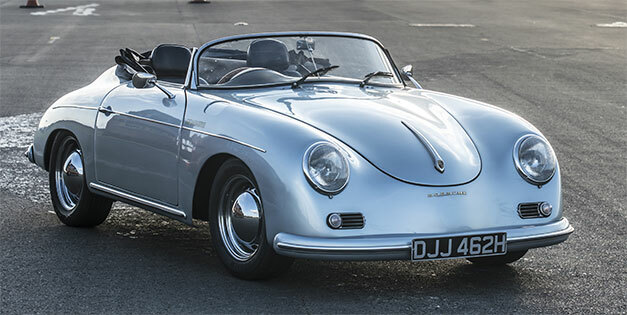 Car owners who want a taste of what professional car detailing can do for their car will find the Classic Protection Detail a good entry point. It includes clay bar paint decontamination and protection with the famous Swissvax Crystal Rock wax. For customers who want their car thoroughly detailed once or twice a year, the Premier Detail is the ideal choice. 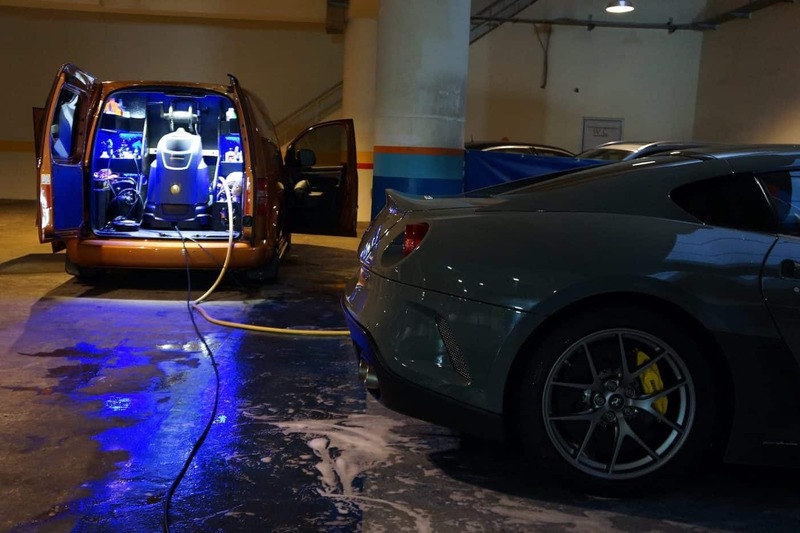 It includes a full luxury car wash, paint decontamination, correction and Max protect paintwork coating as protection, window water repellant protection, tyre treatment and interior detailing. The Connoisseur Detail provides a deeper level of paint correction and Gtechniq coating to protect the paintwork for between one and two years. The ideal choice for customers whose car needs extra care to bring it back to its best or who just demand that extra durability. "So dedicated, so enthusiastic, so knowledgeable is Paul Dalton – everyone comments on how good my car looks, even saying that I probably cling film it. Although Paul obviously treats supercars of great value, he treats us ordinary folks with ordinary cars with the same dedication."